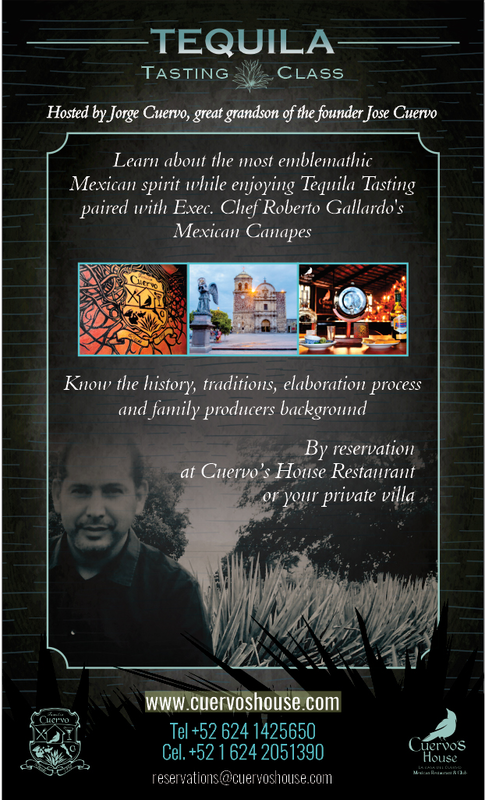 Enjoy and learn about Tequila with the Cuervo Family! Jorge Cuervo will personally share his expertise in tequila tasting; his passion for this industry comes back from generations in his family, starting with Don Jose Antonio Cuervo, who was the founder of the Tequila beverage back in the XVIII century. Jorge will talk about the history, development process, as well as the varieties of tequila, myths and realities, while you also enjoy of delicious Mexican canapés by Executive Chef Roberto Gallardo. Taste tequilas from the legendary, traditional and the most distinguished family producers at Tequila town and Tequila region. Flavor handcrafted Tequilas and Special Reserves of the most prestigious Tequila Families. This entry was posted in Event, San Jose del Cabo, Tequila and tagged Artisanal Tequila, Cuervo's House, Tequila, tequila tasting on August 28, 2018 by Rebeca Valladares. Come and find the special menu of desserts made with Callebaut chocolate, as well as a selection of exotic cocktails created especially to convey stories through their combinations and flavors. For any questions please contact to Cristina Gámez at Café des Artistes at 01 624 163 7600 Ext.2213 from 15:00 to 23:00hrs. 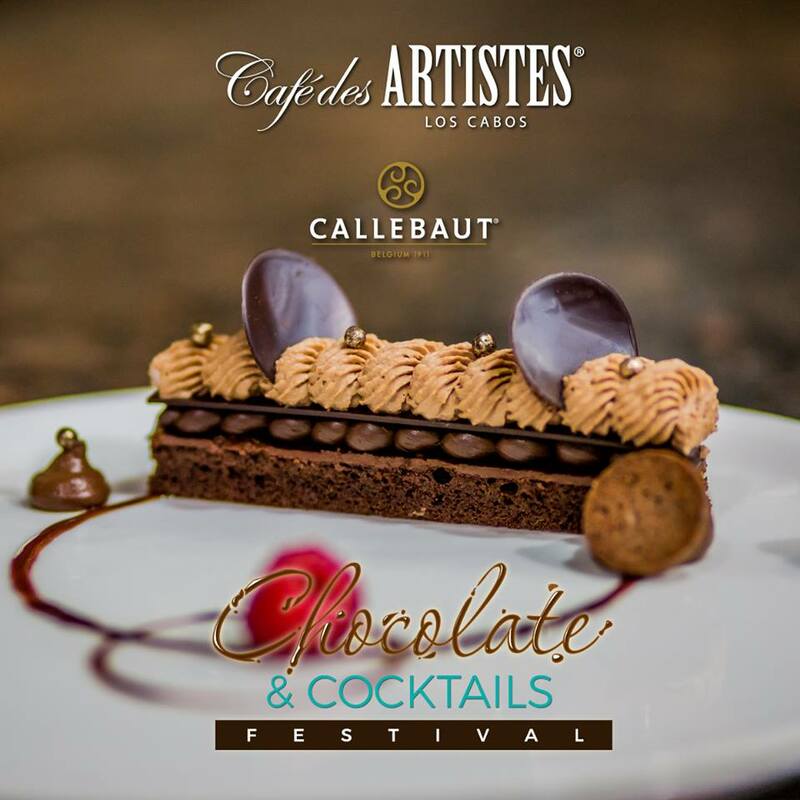 This entry was posted in Cabo San Lucas, Event, Festivals, Los Cabos, Restaurant and tagged Bartender Dan Rodríguez, Café des Artistes, Chef Santiago Plasencia, Chocolate & Cocktails Festival, event on April 2, 2018 by Jessica Ramírez. 2 great musicians join in Romeo y Julieta to perform! Enjoy an incredible experience accompanied by excellent music this Saturday, March 31st. 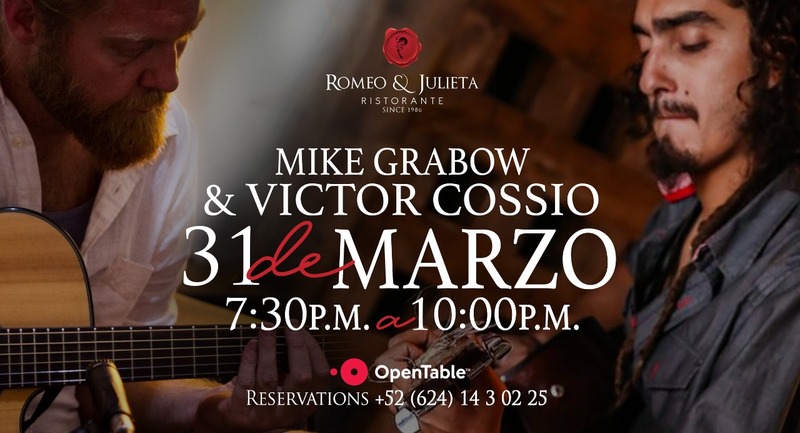 This entry was posted in Cabo San Lucas, Event, Live Music, MENU, Music, Restaurant and tagged ITALIAN FOOD, MIKE GRABOW & VICTOR COSSIO, music, restaurant, ROMEO AND JULIETA, SATURDAY MARCH 31 ST on March 28, 2018 by Jessica Ramírez. Spring break continues with #DillonFrancis at #OMNIAloscabos. Tickets available at OMNIAloscabos.com. Doors open at 11am. 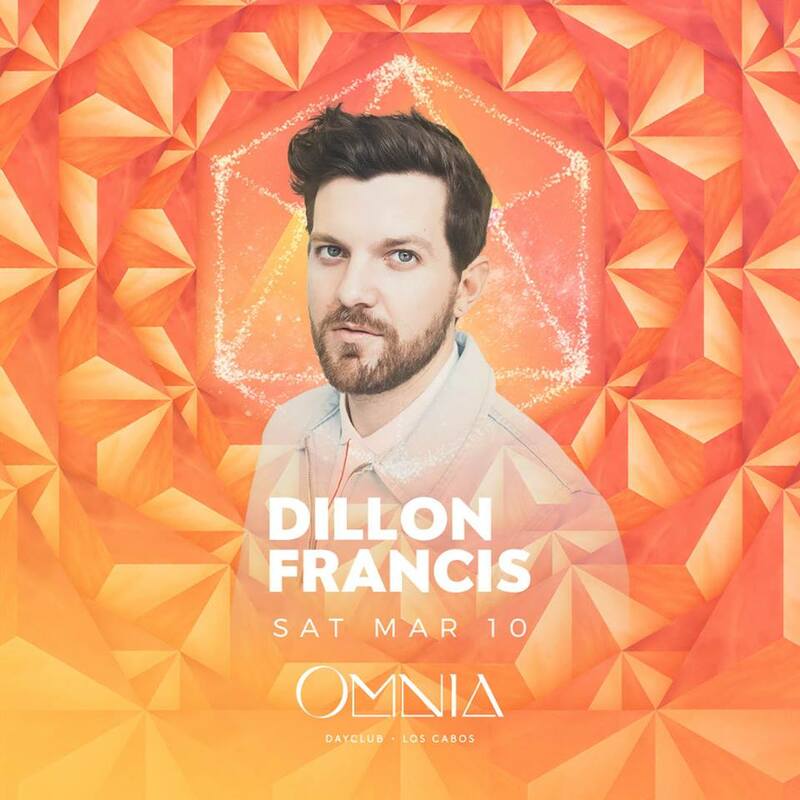 This entry was posted in Event, Los Cabos, Music, Tourism and tagged DILLON FRANCIS, OMNIA LOS CABOS, spring break, Tickets on March 8, 2018 by Jessica Ramírez. 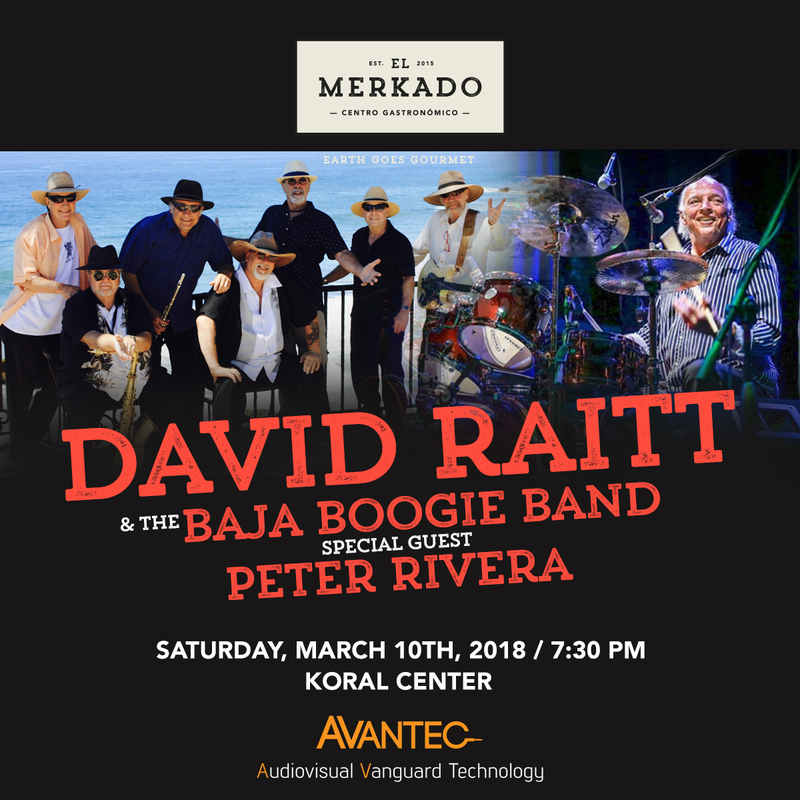 For the special occasion, David Raitt and The Baja Boogie Band will be presenting in El Merkado on March 10th, with Peter Rivera as a special guest. Funky, Blues and Rock in an only one event! This entry was posted in Cabo San Lucas, Event, Los Cabos, Music, Restaurant, Rock and tagged Avantec, Baja Boogie Band, Blues, David Raitt, Free Access, Koral Center, music, Peter Rivera, Rock on March 1, 2018 by Jessica Ramírez.